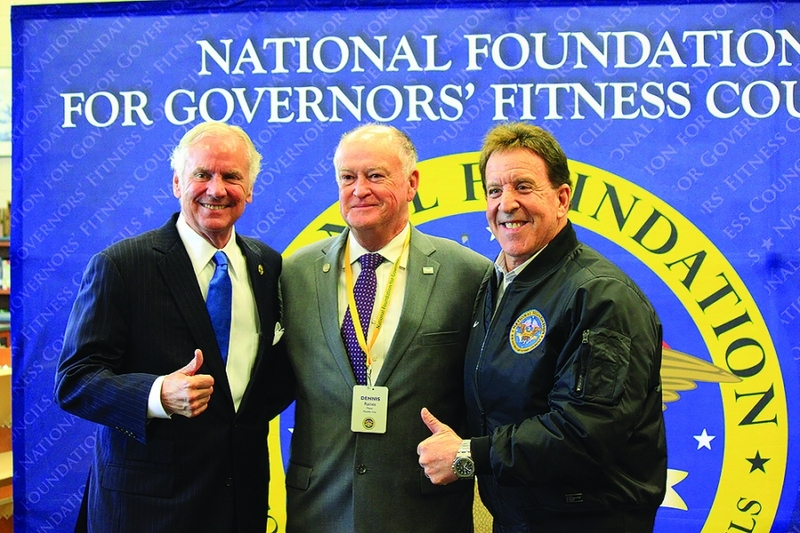 Governor Henry McMaster and Jake Steinfeld, Chairman of the National Foundation for Governors’ Fitness Councils, traveled to Mauldin Middle School to help dedicate the new DON’T QUIT! Fitness Center. 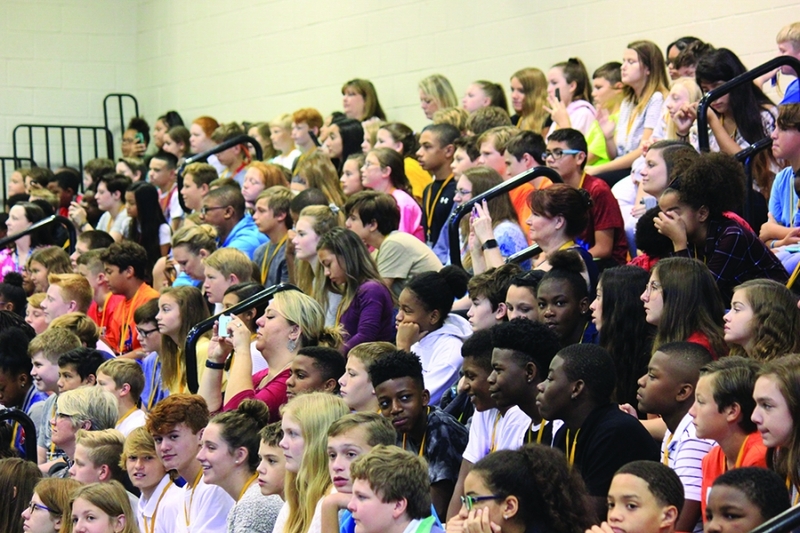 The multi-million dollar physical fitness campaign has named Mauldin Middle School in Simpsonville, Sanders Middle School in Columbia and Green Sea Floyds Middle School in Green Sea as the state’s most outstanding schools for demonstrating leadership in getting and keeping their students fit. 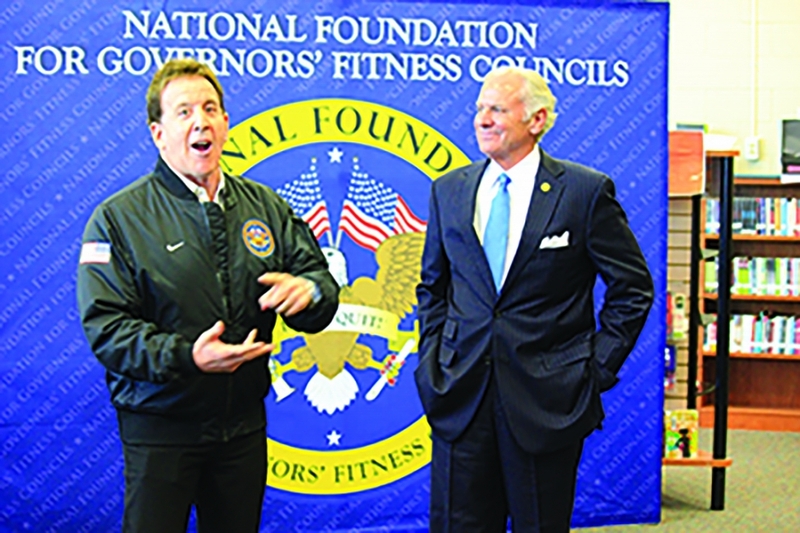 The National Foundation for Governors’ Fitness Councils program will make its way into all 50 states in the coming years. Each fitness center is financed through public/private partnerships with companies like The Coca-Cola Company, Amerigroup Foundation, Wheels Up and Nike, and does not rely on taxpayer dollars or state funding. TuffStuff Fitness International provides all of the fitness equipment, which is manufactured right here in the United States. The Foundation’s goal is to build a nation of the fittest, healthiest kids in the world. “With the cost of equipment and flooring this task became insurmountable. It would be years of a few pieces of equipment here and there from donations and yard sales. Some things were purchased through annual school funds and small grants. In any case, we were slow moving at best.” continued Tepedino. The state-of-the-art DON’T QUIT! 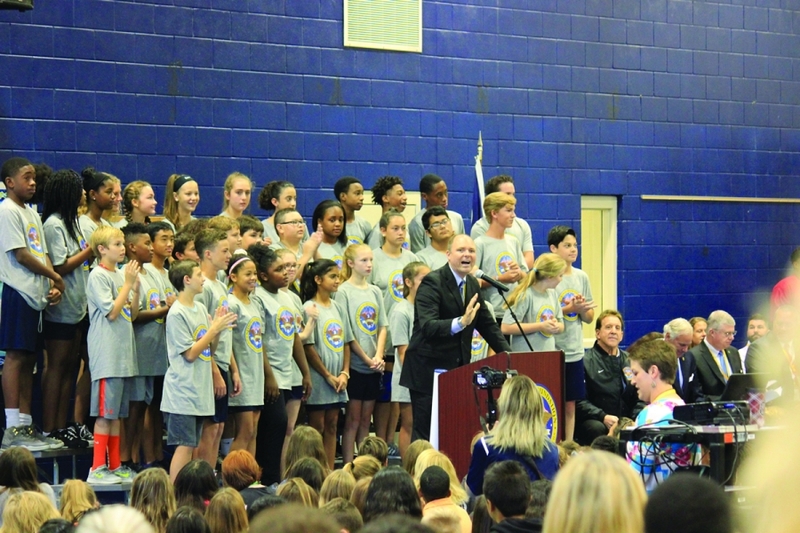 Fitness Center was unveiled during ribbon cutting ceremonies on October 2, 2018. 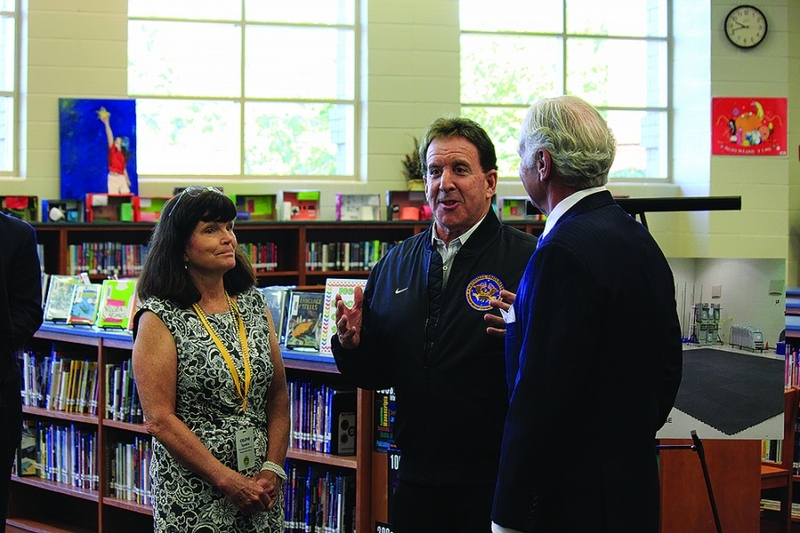 But before the ribbon was cut, the Governor and Jake Steinfeld entered the gymnasium to a roaring crowd and the Mauldin middle school Wind Ensemble playing the theme from “Rocky”. 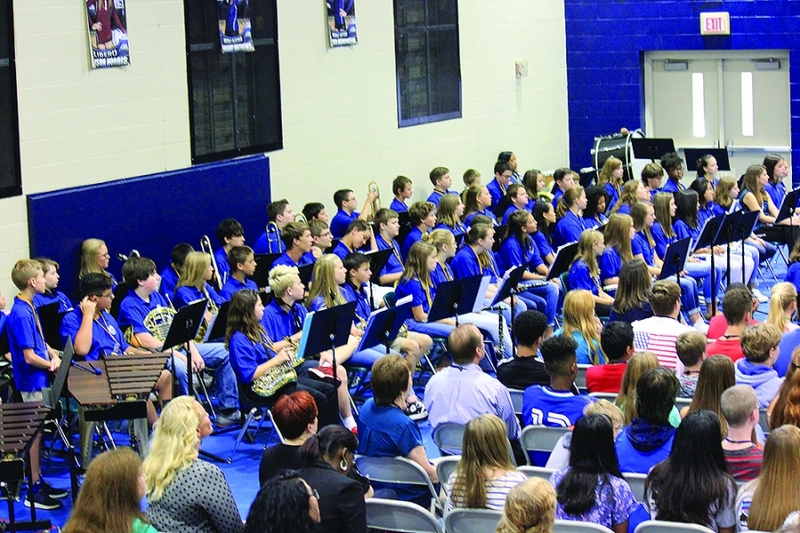 The band is under the direction of Jim Kilgus and Julie Poston. After the fitness center was officially opened students, faculty, and dignitaries took turns breaking in the new equipment. For more information about the National Foundation, visit www.natgovfit.org.